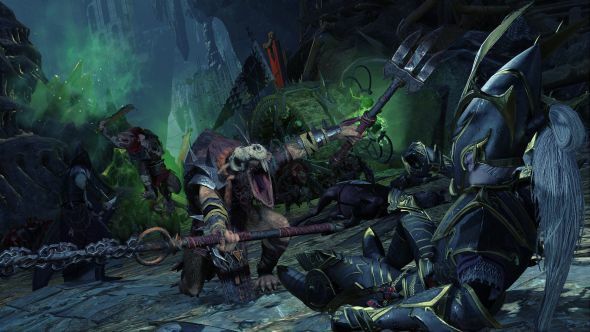 The Skaven are getting a new legendary lord for Total War: Warhammer II. Tretch Craventail will be added to the game as free DLC for all players. Here’s our Total War: Warhammer II – Rise of the Tomb Kings review. Tretch Craventail is the Chieftan of Clan Rictus, with a reputation for fighting dirty that’s high by even Skaven standards. That’s something that’s very much reflected in his kit – Tretch gets bonus public order by breaking, rather than making, diplomatic treaties. In battle, those tactics carry over; Tretch receives bonus melee attack during ambushes and after retreating when attacked, because he’s a sneaky, cowardly, git. Tretch isn’t exactly the biggest Skaven character from the lore to be brought to the game. Grey Seer Thanquol, Throt the Unclean, and even Deathmaster Snikch are all better-known characters from Warhammer lore. It’s reasonably likely that they’ll make their way to the game at some point soon, most probably as paid DLC. Tretch will be available alongside Total War: Warhammer II’s Rise of the Tomb Kings DLC, which is due to release tomorrow, January 23.